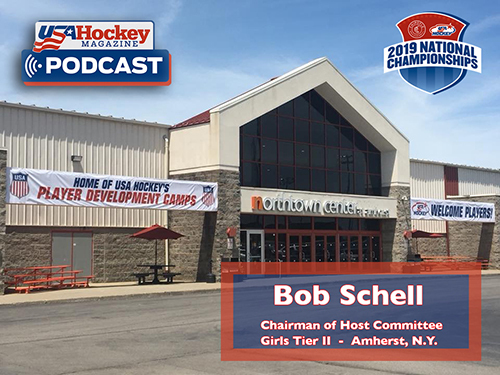 This podcast features Bob Schell, chairman of the host committee for the Girls Tier II tournament in Amherst, N.Y., which runs Apr. 4-8. Schell discusses preparations for this year's tournament, the economic impact that hosting has on a community, how they plan to make the event special and a lifetime memory for its participants and much more in the latest episode of the USA Hockey Magazine Podcast. Follow us on Facebook, Instagram, and Twitter for more from USA Hockey Magazine. Stay tuned for our next podcast, which goes live Thursday, April 4.